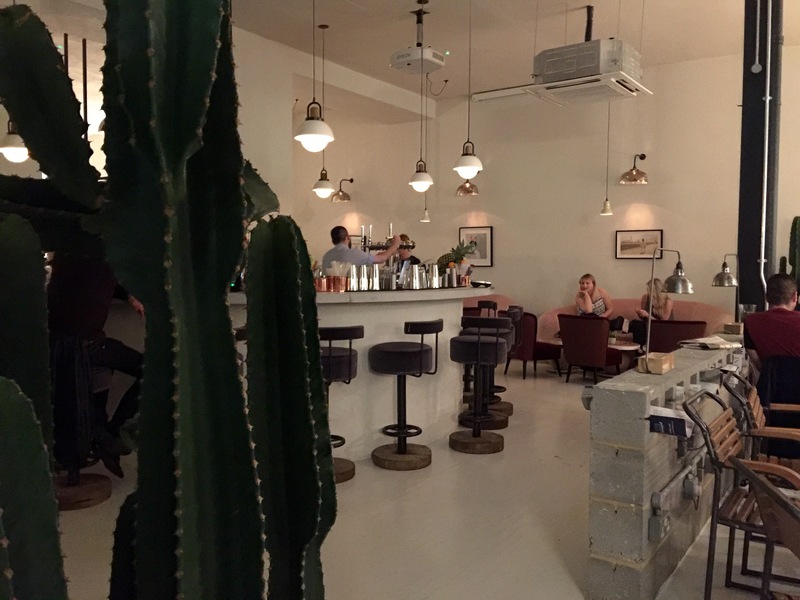 We’ve got some new neighbours in Chiswick and it’s great to see what they’ve done to the place. 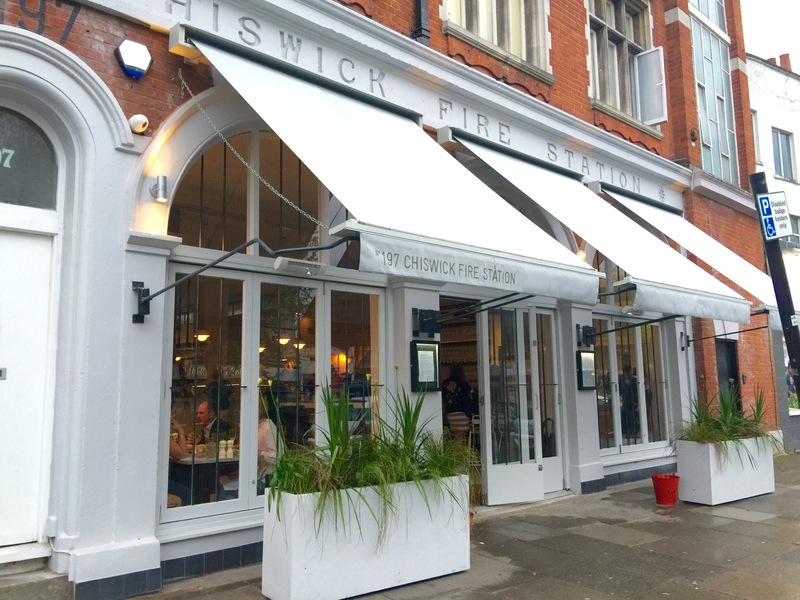 No 197 Fire Station is the fourth location opened by the independent bar group Darwin & Wallace, all in London towns with a village feel. In W4, they’ll feel right at home. As the masonry on the front of the building suggests, there was a fire station on the site from 1891 until 1963 when it moved around the corner. David Scheinmann artwork hangs from the chalky white walls while industrial looking bar stools, muted by a blue velvet are tucked underneath a dominating concrete bar. The interiors are a collaboration between two architects who’ve been working with the group’s founder for some years and they’ve done an excellent job. 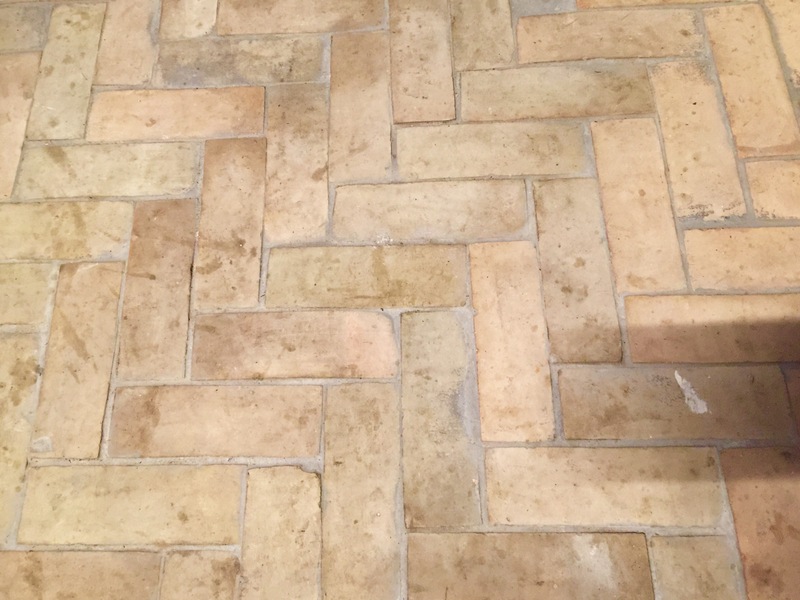 Everywhere you look, there’s a fabulous design feature from the herringbone tiles on the floor to the industrial breeze block dividers. A projector hangs from the ceiling along with multi-level and wall lighting which helps to capture the mood at night. Fresh cut flowers and Wild West cacti add to soften and sharpen up blank canvases. 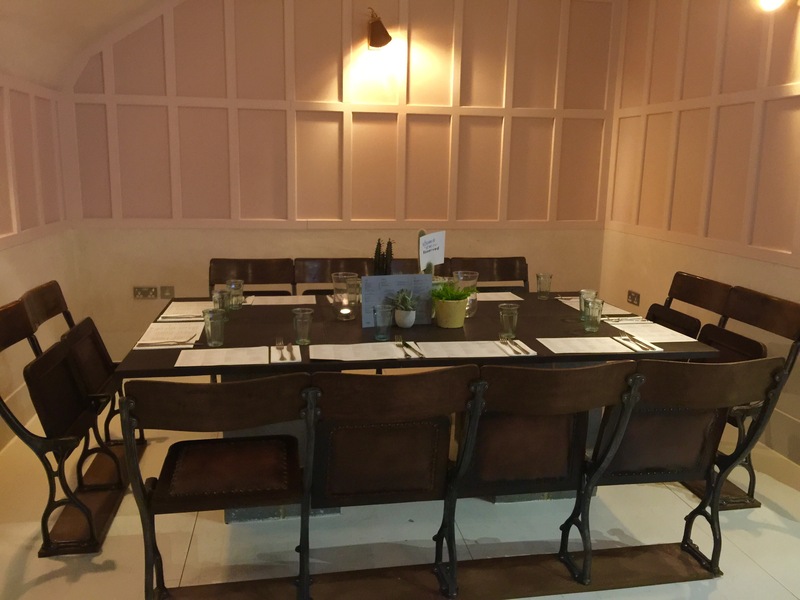 What they’ve managed to do is make the space large enough for groups but small enough for intimate dinners. 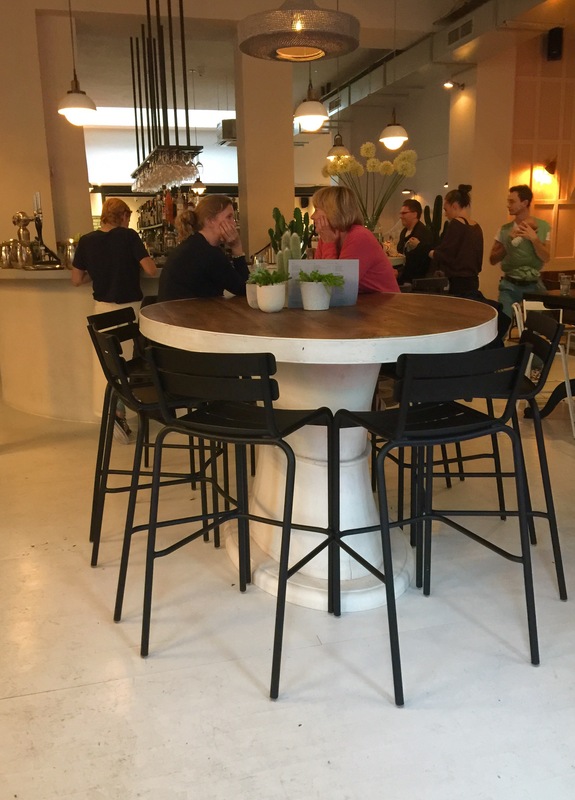 A long communal dining table leads customers out to an outside terrace, although the fun ends at 7pm when the license does, for now. So ends my love affair with the interior, let’s start with the food and drink offerings. We sat at a square table in the back of the restaurant, nice and bright but not too much room for multiple dishes and glasses. 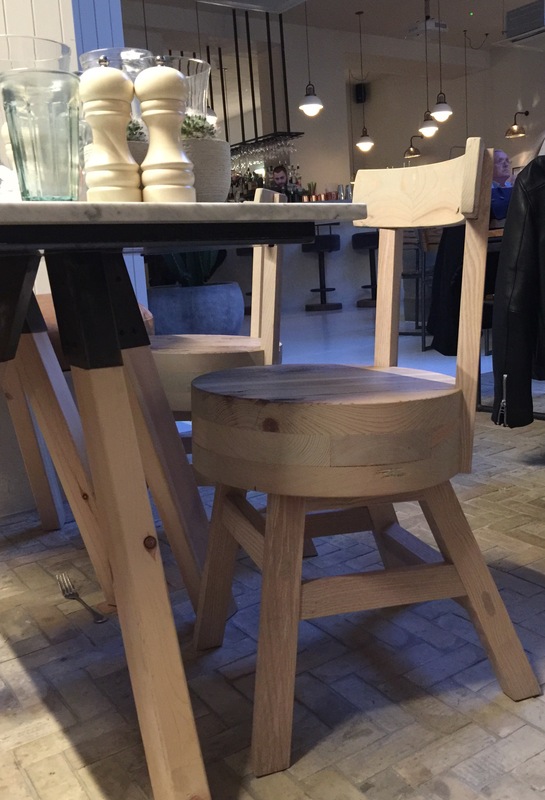 The chunky Oak chairs are beautiful to look at but take their toll on a bony backside so after a while; a walk is in order. The cocktail menu is quirky and has something for everyone. I’m afraid I got a little hooked on the Rhubarb and Cherry gin gimlet and the two I had were stunningly good. Mr asked for a bottled pale ale but I fear the sunny weather ensured he was out-of-luck and so he went for a draught. No complaints there. The manager here is the knowledgeable Jade and she tells us this is the third Monday since opening. What she failed to mention in our chat was the portions are huge. She took us through the varied menu which features everything from breakfast to brunch, sharing plates to full on platters. Mr wasn’t feeling too hungry, plus he’s trying to be good so opted for a few starters. 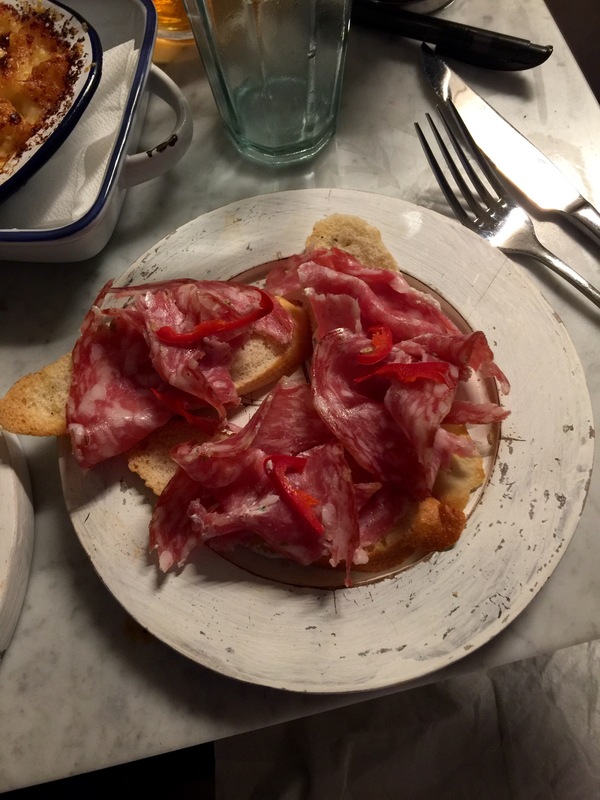 He chose the Fennel Salami, with a Chilli and Truffle ricotta crostini. Three pieces for £4.95, which on reflection were a bit much for one, and as they were billed probably better suited for sharing. Nonetheless, it was as billed and unremarkable. 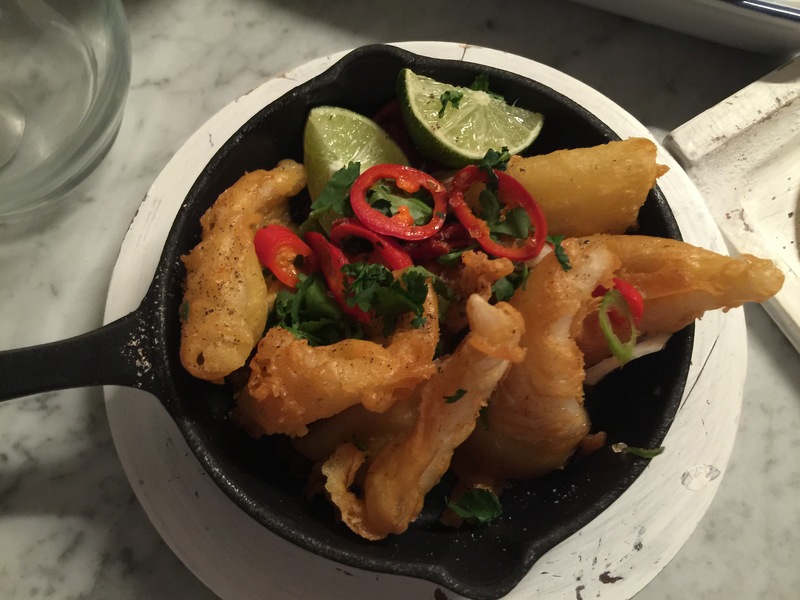 He managed to polish off a portion of the crispy Peppered Squid (£7.95) with Coriander, spring onion & chilli. A light tempura batter covered bit-sized pieces of squid. Cooked well. I had the Pigs Cheek and Black Pudding Croquettes (£7.50) three torpedoes full of meat, served with a very sweet apple compote. A splendid starter but plenty for two. Mr moved on to a potted ham hock which was delicious (£7.50). 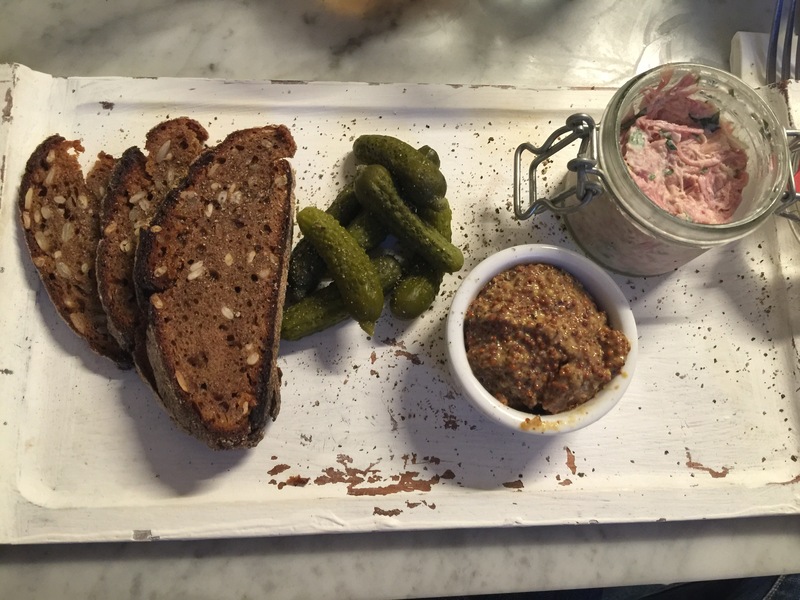 Plenty of meat in a delicately flavoured crème fraiche, enough malty bread and a serious serving of seeded mustard and cornichons. Winner. For my main it was a toss-up between the chicken, ham hock, leek and tarragon pie (£14.50), the Wonky Veg Aubergine Curry (£9.95) the chicken Kiev with French garlic beans (£14.50) or the No 197 House Burger (£10.95). I’d already been warned by Mr that I wasn’t to order a burger so that made my decision a little easier. 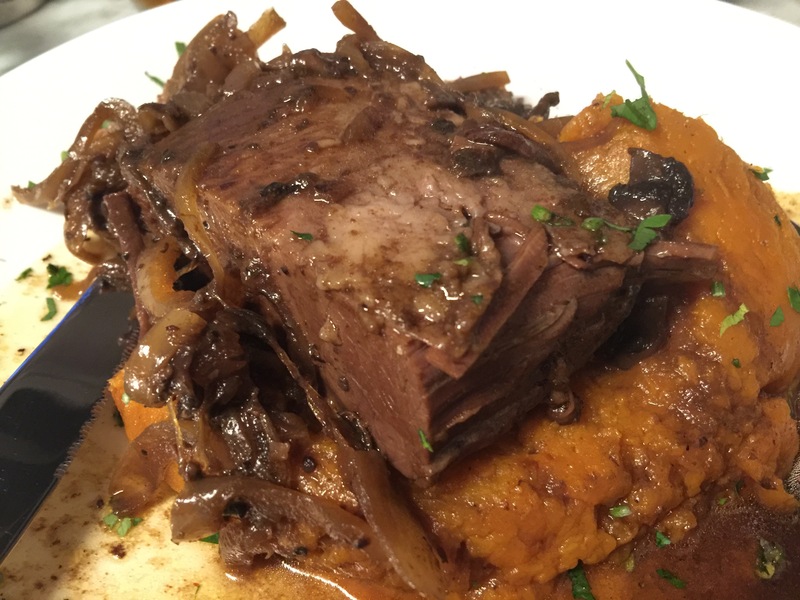 As it was, I opted for the Beer Braised Brisket of Beef (£18.00) with onions and a sweet potato mash. 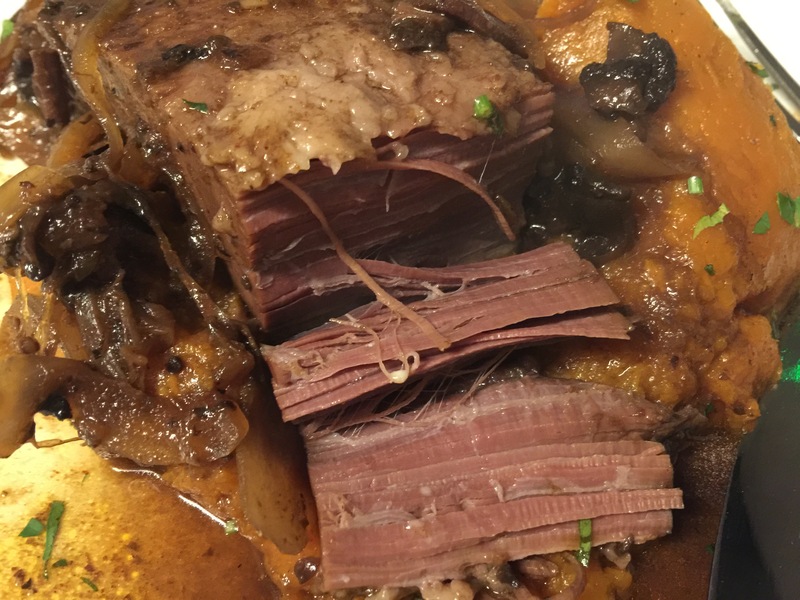 A large plate covered in bright orange fluffy mash was topped with a significant cut of brisket – enough for supper, breakfast and lunch. The beef fell away without prompt and the potato sweet, tempered by rich onion-heavy gravy. To be honest, I made sure I didn’t have a heavy lunch, in fact, I don’t think I did eat but even this beat me. 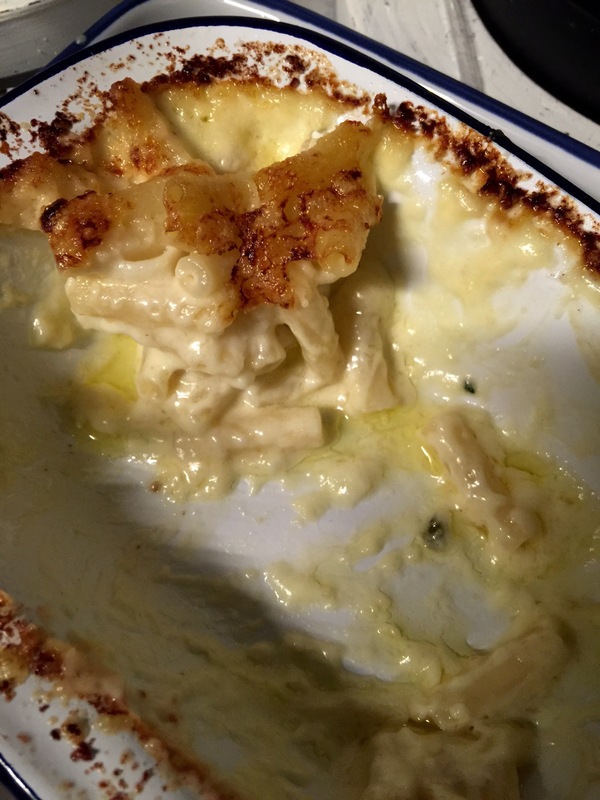 That said, and before I could see the huge plate, I ordered a side of Truffle Macaroni Cheese (£4) and this didn’t disappoint. Cheese, cream and truffle oil, just the right amount, with a crunchy cheddar top. Perfection. You know when you’re full but you just can’t stop digging in your fork, yeah, that. I not only let this review down but I let myself down. 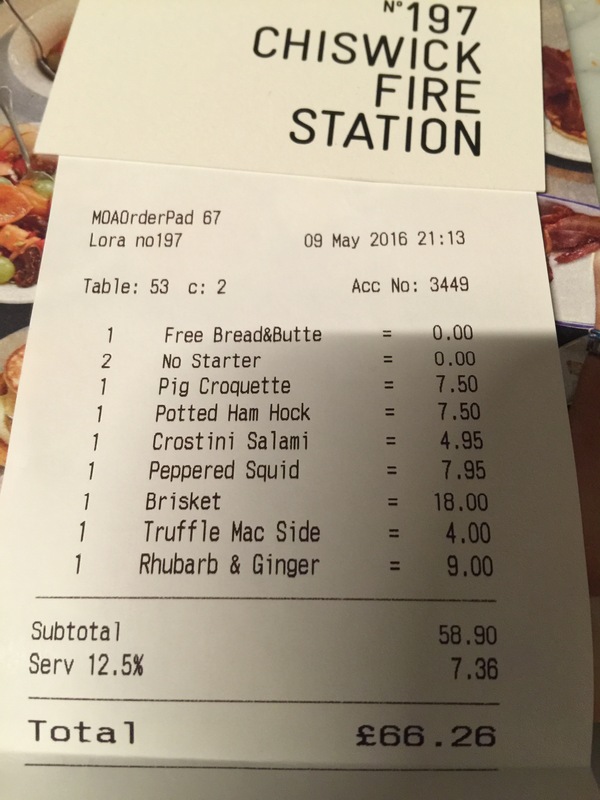 I couldn’t even squeeze in a dessert and I had my eye on the roast pineapple (£6.50). This beauty was I can only guess, caramelised with Agave Syrup and served with a passion fruit sorbet. Even my love of meringue didn’t push me over the edge. The Roulade No 197 (£6.50) will be ordered next time we eat their homemade meringue, raspberry, rhubarb and ginger cream. 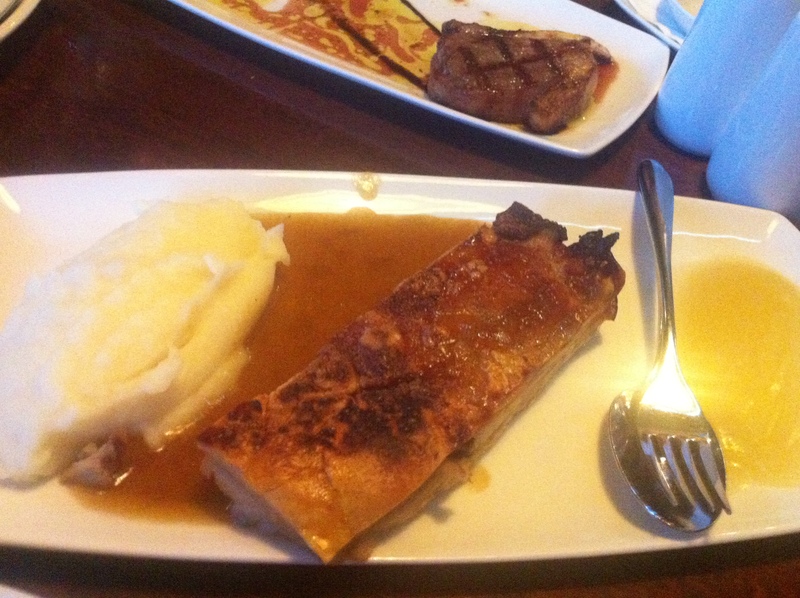 Their Sunday roasts look pretty good, served from noon. Rotisserie Chicken (quarter, half or whole) and that delicious brisket on offer, all served with duck fat roasted potatoes and seasonal vegetables. Kids are catered for too, not a massive choice but it’s the Mac and Cheese, Cheese Burger and Fries or Tempura Fish fingers and fries. 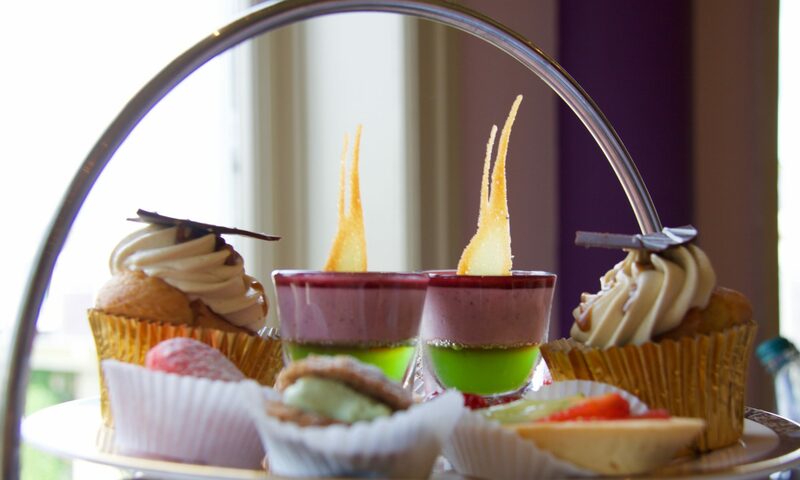 With an ice cream sundae or fruit plate, it’s £7.50. 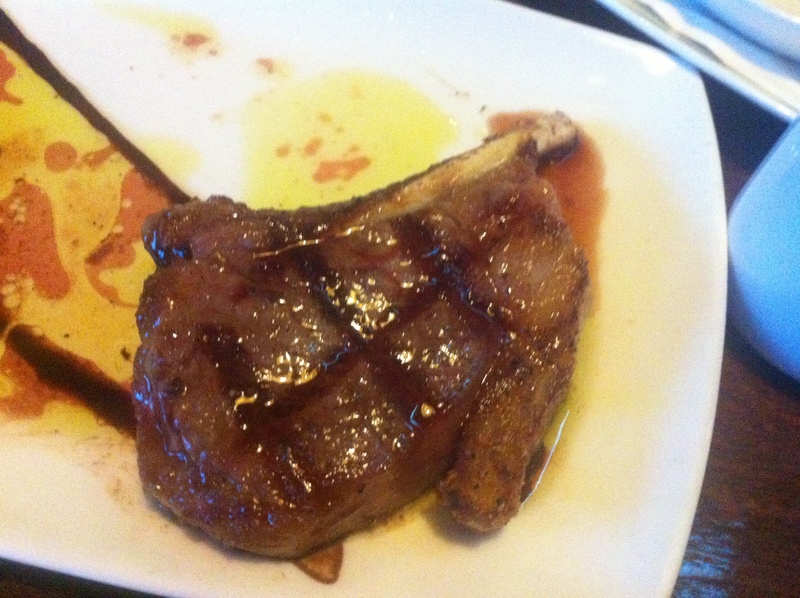 Some of the mains are big enough to split for older children with a more adventurous palate. If like me, you’re a big fan of restaurant sustainability, they don’t crow about it here but they’ve got a 2 star and are on their way to the highest rating of 3 stars. We visited on a Monday night and it was packed, there’s definitely a small fire burning here but nothing this Fire Station hasn’t got under control. 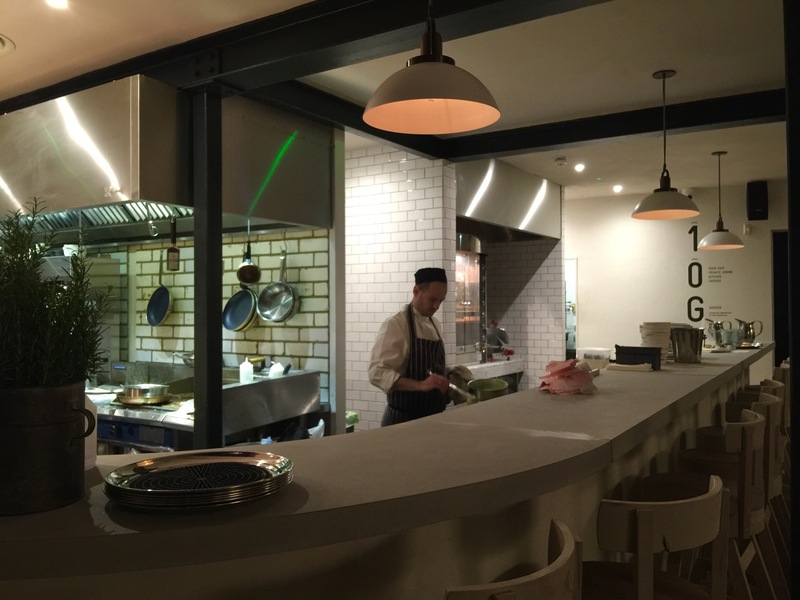 I was a guest of No 197, which as ever, has no influence over my reviews. 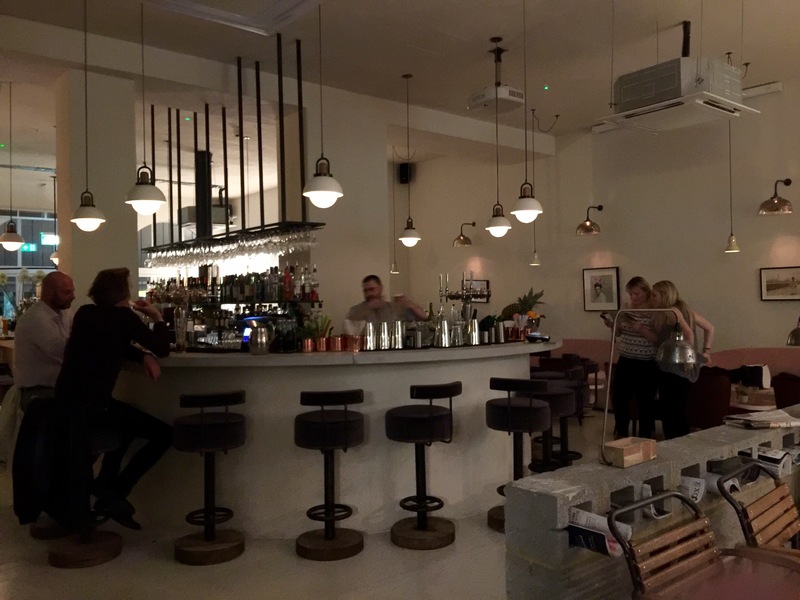 It’s taken us almost a year to get to La Mancha on Chiswick High Road, and almost as long to write-up this blog, but on a Saturday night a few months ago, we went along with friends to celebrate a birthday. 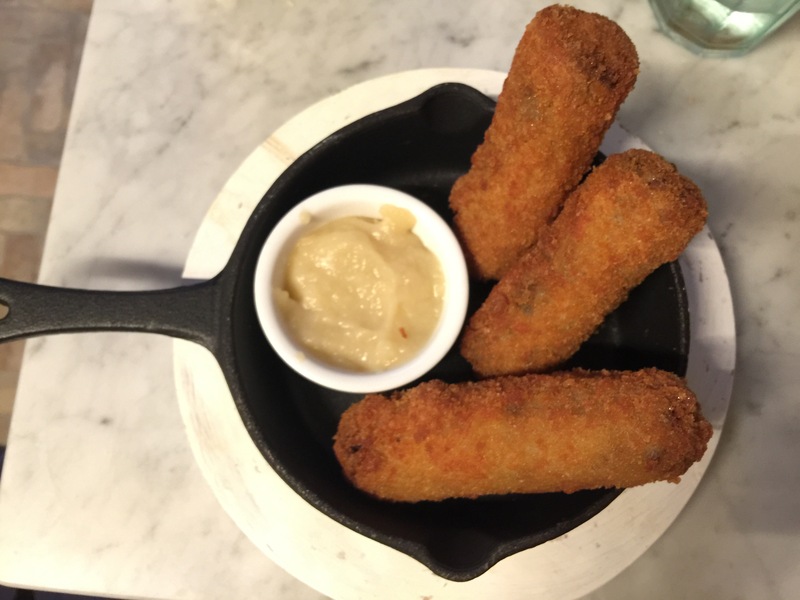 Salvatorre is the owner of this small but perfectly formed tapas bar and when he decided to downsize his Putney branch, he chose his home town of W4 to set it up in August last year. 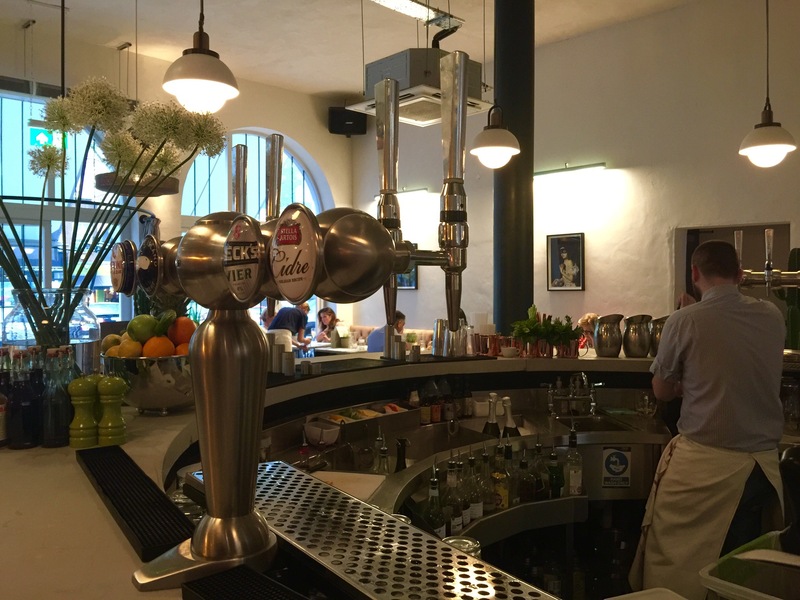 You can eat around the world these days in this part of town, but since the ‘tapas’ chain Le Tasca ceased to trade we’d been denied anything remotely Spanish. 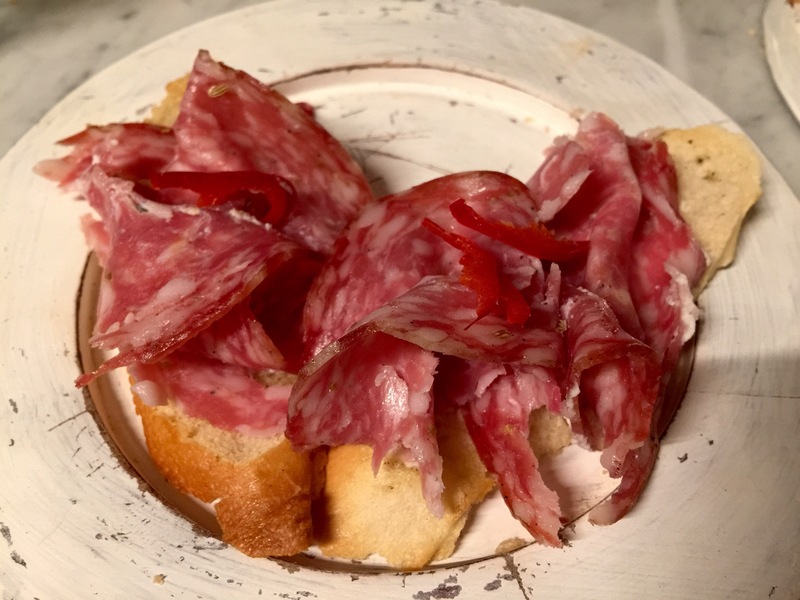 Now this busy, buzzy restaurant with a nod to Don Quioxte is pulling in the punters with its well-priced, tasty Galician plates of loveliness. We arrive early and our friends late so we start to order from the menu. 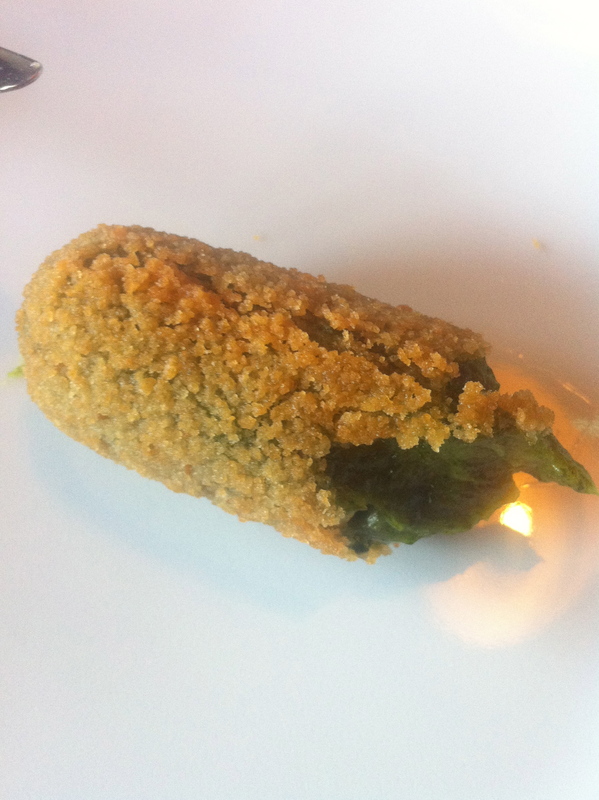 We begin with some spinach croquettes with a hint of pine nuts (£5.50), a good filling with a decent crisped crumb. 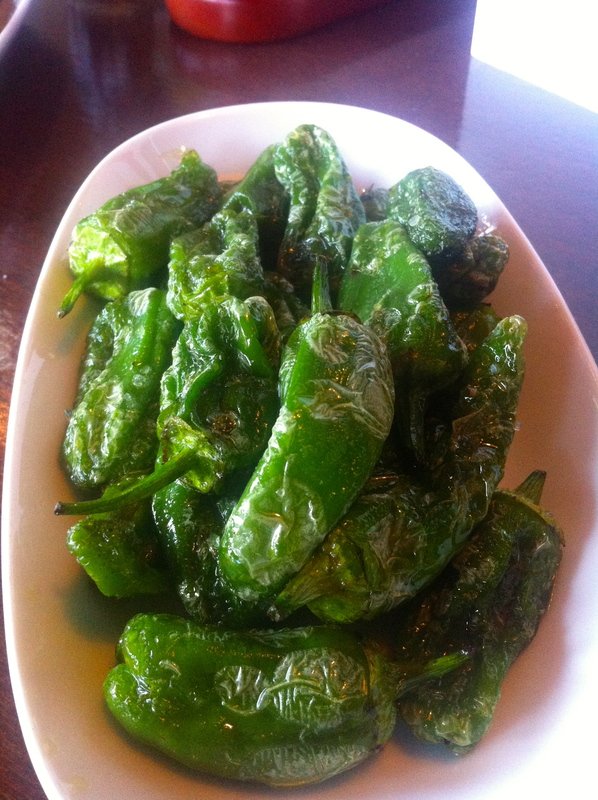 Their Pimientos de Padron (£5.95) took me right back to Barcelona and the glass of fabulously dry sherry Mr ordered was incredible. I threw caution to the wind and ordered Sangria. It arrived in an understated wine glass without fruit salad but with a slice of orange and thinly cut cored apple, looks deceived, it was fabulous. Our friends arrive, along with the guest whose birthday we were celebrating, and the food ordering intensifies for our table of six. 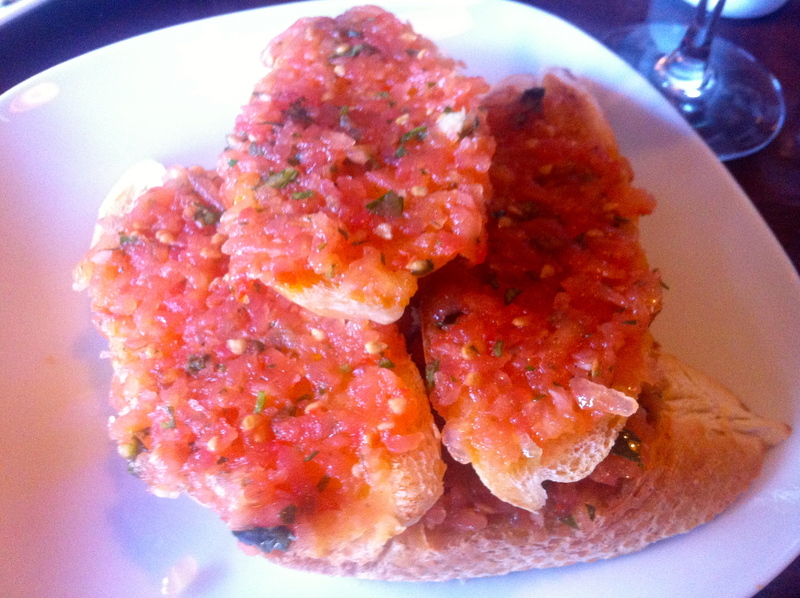 Two plates of garlic-infused tomatoes on crisply toasted olive-oil-smothered bread (£3.50) arrive and we start the feast, holding back, cutting dishes in half to share, when it’s the piece that’s wanted. 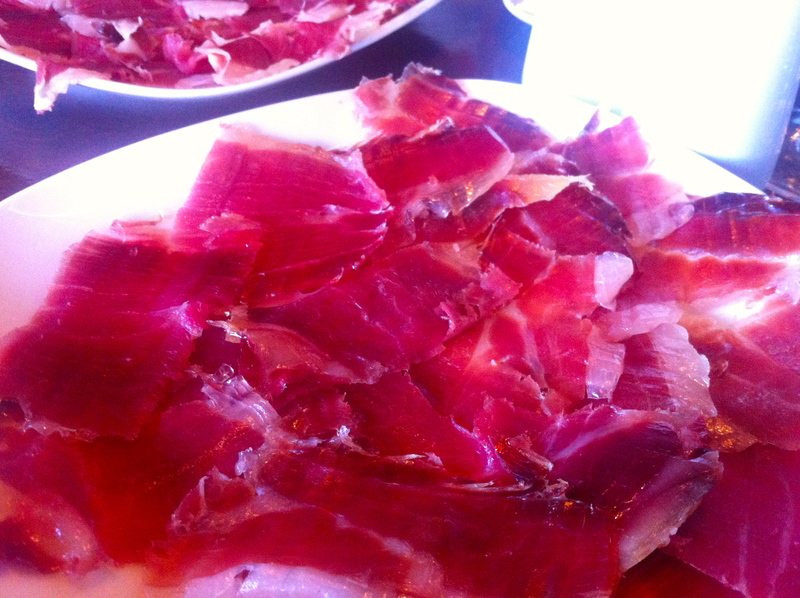 Next up are two plates of 15 month aged Serrano ham (£8.95) and the meat is beautifully pink and fatty, it leaves the plate as quickly as it arrives. 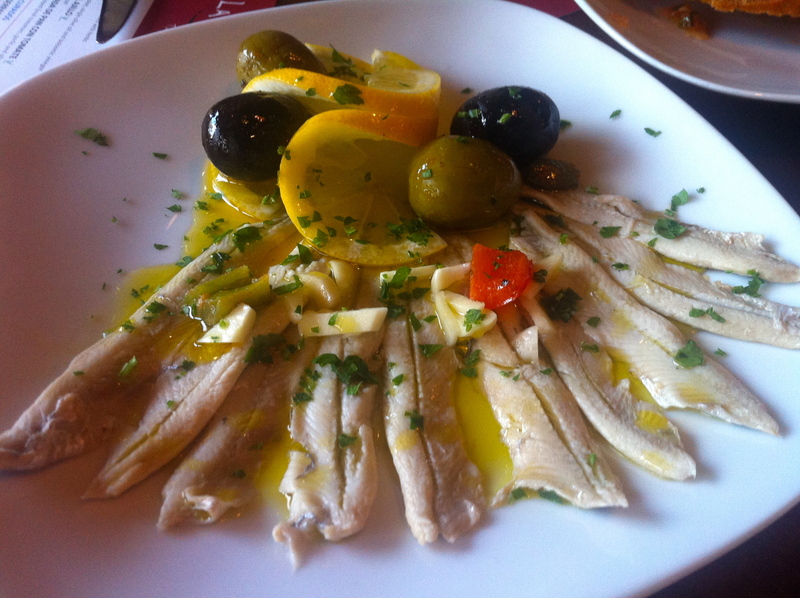 The anchovies in olive oil and garlic (£6.50) were delicious (I’m told), they looked good, and super fresh, but I still can’t appreciate the flavour of the anchovy but there were plenty on the table who did. 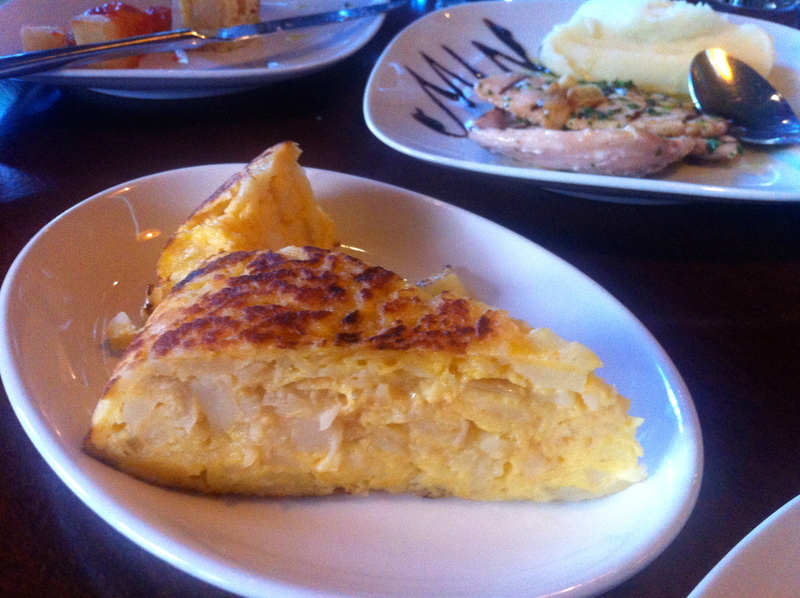 A little over-salted for me but the Tortilla Espanola (£5.20) was dense and full of potato chunks. 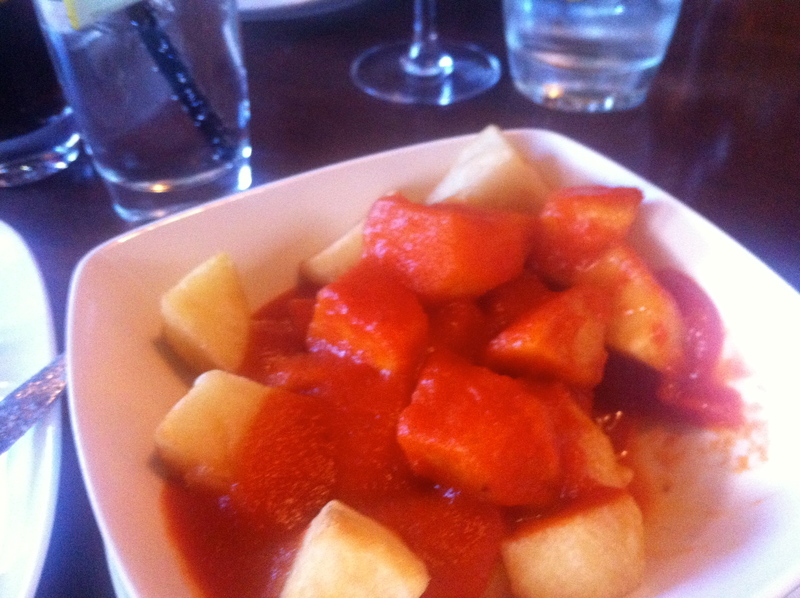 I’m really not a huge fan of Patatas Bravas (£4.95) unless these spicy spuds come straight from the oven or fryer, crisp and golden. These had been crispy at some point but the reheating had knocked the crunch straight out of them, the sauce was regulation spicy though. 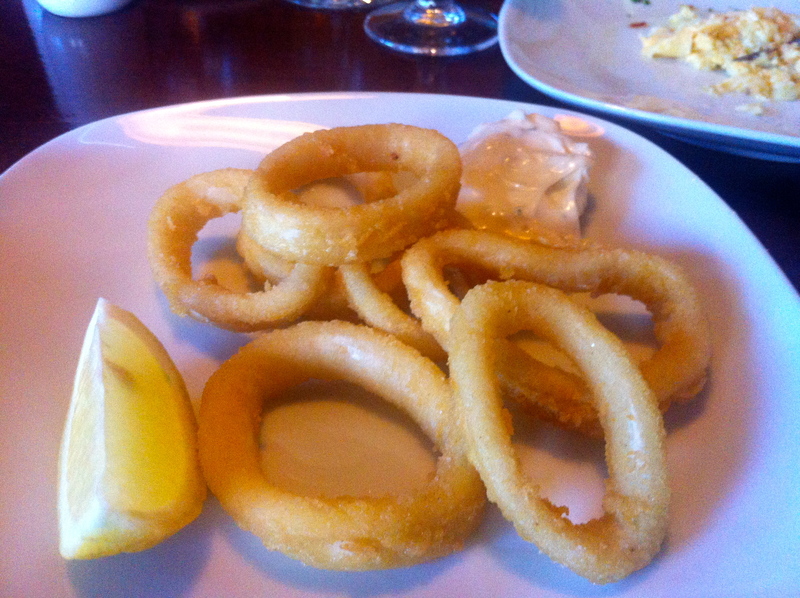 Light and crispy rings of squid were tasty but a little on the pricey side at (£7.95). A meat course followed with Jarretes De Pollo Picante Chicken drumsticks (£5.95) cooked, skin-on, in garlic, lime and chilli sauce. I have to say I didn’t try these, because I was rather slow to dig in, the portion demolished in little time. Our char-grilled lamb cutlets (£3.95 each) were absolutely delicious, small, sweet, juicy lamb had taken on the stripe of the grill and cooked pink. 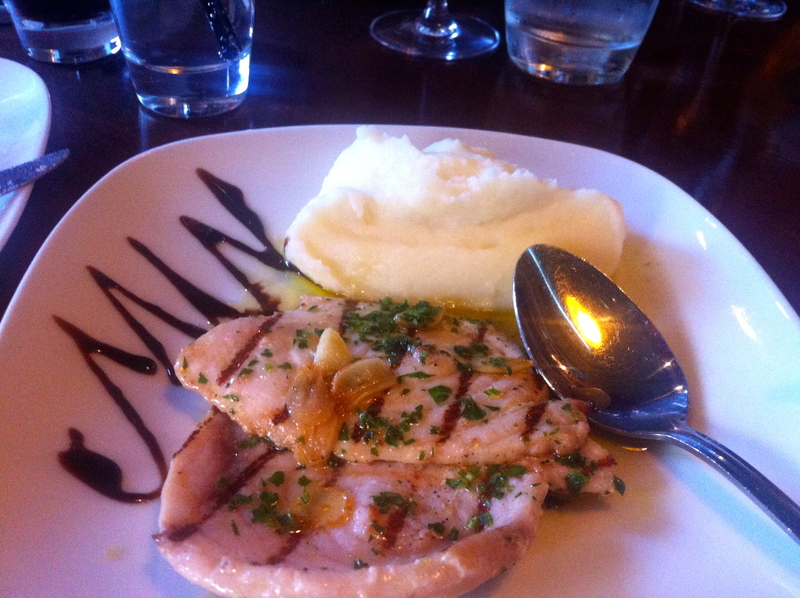 The best dish of the night for me was the Espada Chargrilled swordfish which came in a garlic wine sauce, (£8.95) with a side helping of nursery-soft mash. Beautifully tender pieces of what is normally a meaty steak were beaten thinner and I could have eaten a whole plate and more. A very close second was the Restaurant’s signature slow-cooked crispy pork belly with apple sauce, Cochinillo Asado (£9.95) found on the Specials menu. 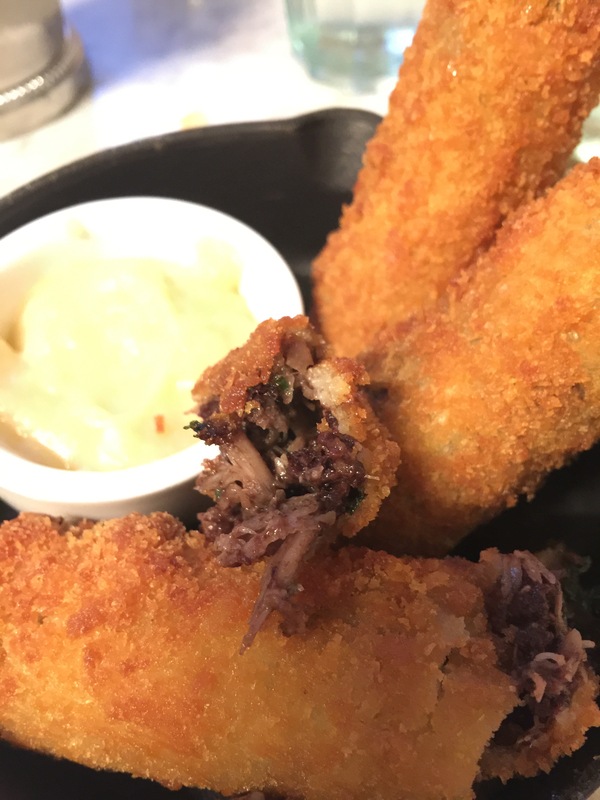 When the crunchy crackling is broken, it revealed a beautifully cooked, tender meat which, when added to the pork sauce puree, was heaven. Some of our party drank the Barcelona brewers ‘Estrella Inedit‘, the beer by Ferran Adria which comes in a really attractive black wine bottle, sealed with a cap lid. It’s a barley malt and wheat beer with hints of coriander, orange peel and liquorice. Quite cloudy as you’d expect from a wheat beer it’s served chilled and in wine glasses. It’s been designed to work with citrus salads, salty seafood and vinegar based sauces, along with bitter vegetables like artichoke. It’s lightly carbonated and doesn’t bloat the drinker. 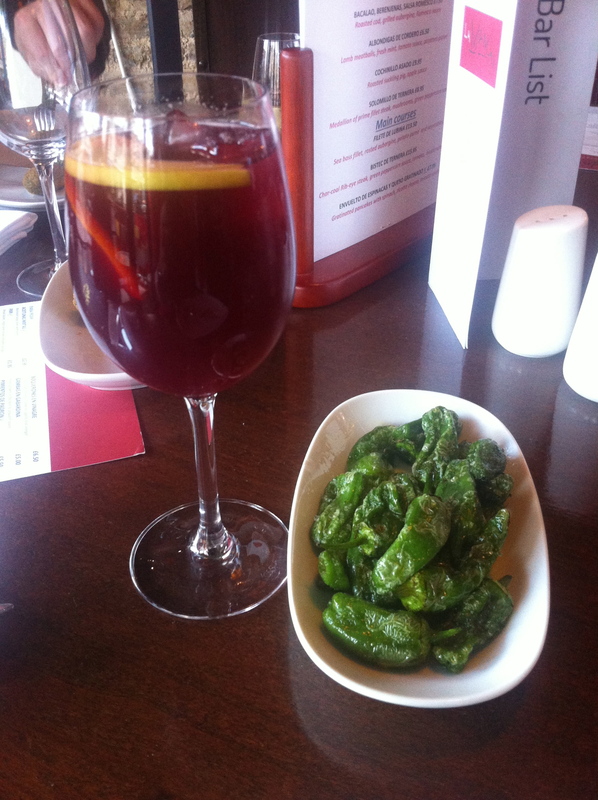 We also enjoyed a bottle or two of the Spanish Prado Rey Roble Ribera del Duero (£24.50) which went down a storm. Tony (the birthday boy) left with a bottle of freshly foil-wrapped Cava but it’s this kind of sentiment that will continue to win Salvatorre loyal customers – that and the great food. We were guests of the Shackletons – thank you for a great evening. 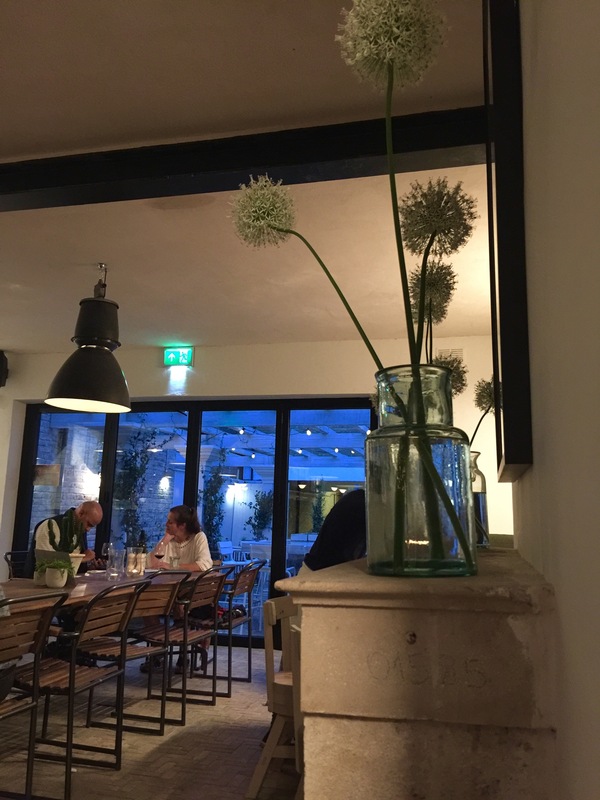 It’s fair to say that in the time between my visit and writing this blog up there’s been a change of chef – the former retired – and so a change of menu. Some of the dishes I’ve written about remain, some have gone but the prices I’ve taken from the current menu. I haven’t been back to sample it but since there’s a severe lack of Spanish food in this area, I’ll be back when my yearnings for tapas return. Annie’s is the type of neighbourhood restaurant I’d like around the corner from our house. 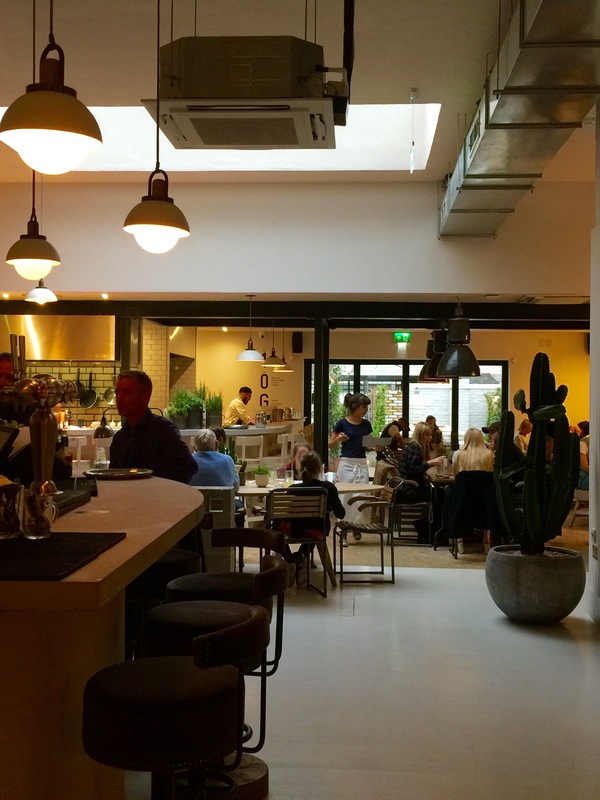 Cosy, cool and serving up great seasonal food in abundance. The service is attentive and friendly and not rushed. 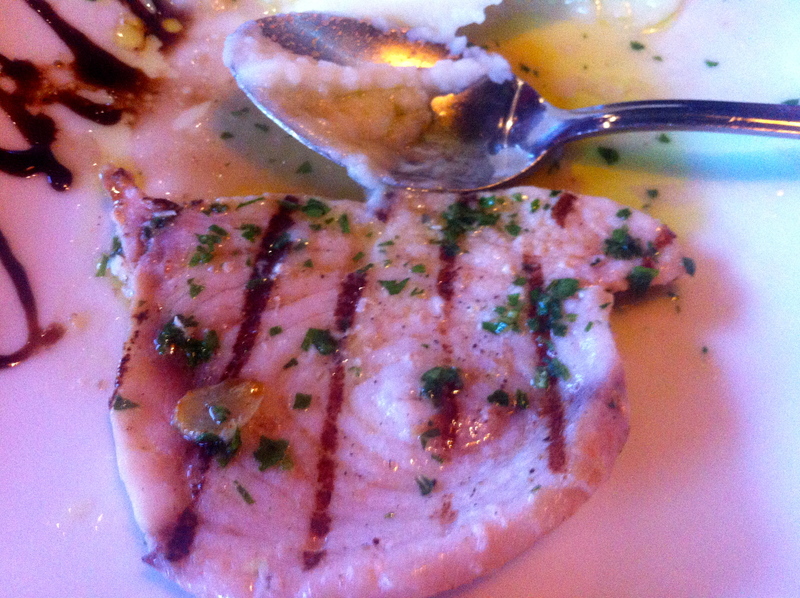 I was invited to eat other writers to sample some of the dishes from the Annie’s menu. We began with the restaurant’s signature cocktail – the Blush Royale. 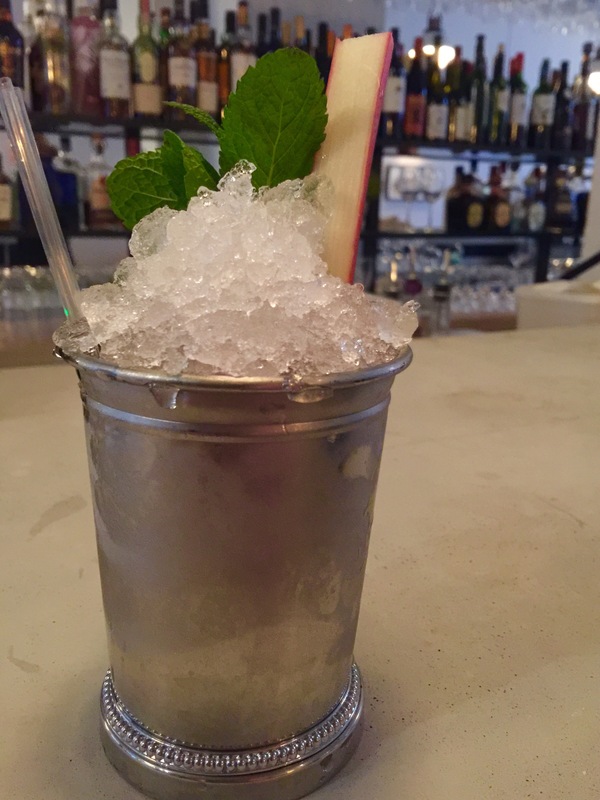 This is an absolute must for anyone who visits when the sun is shining. Prosecco gets mixed with a dash of rose syrup and to that, crystallised rose petals. The overall taste experience was divine. It’s a sipper, although quite difficult not to rush, the longer the Prosecco remains in the glass with the rose petals, the deeper the flavour. It was a difficult choice but the grilled halloumi, roast squash, fig and caramelised shallots won me over on the night. Spongy, well grilled cheese which worked well with the sweetness of the squash and shallots. A really nice Summer plate of food, which was a great start to the evening. The spicy squid with wasabi mayonnaise was a good size and the dipping wasabi mayonnaise well seasoned and not too hot. For my main course I chose Annie’s posh chicken kebab with salad, olives, guacamole and chilli sauce and it was fabulous. Not too spicy, well toasted pitta breads and what was great was that they hadn’t stuck together so I could stuff them full of the delicious salad and chicken. The guacamole and tomato side dishes were great for providing added moisture to the dish – although in no way was it lacking in any department. The fish and chips – battered haddock with lemon tartare and petit pops was a gargantuan plate of food. The chargrilled lamb gigot with new potatoes, minted peas, broad beans and lemon aioli was cooked to perfection and the plate was a little on the large side for someone looking to eat three courses. I was full-to-bursting but the dessert choices were far too good to be ignored. For me it was a no-brainer Annie’s Banoffee pie and this particular one goes down in history as one of my all time favourites. Have a look and tell me that you don’t agree? Fat chunks of banana, thick swirls of cream on one of the most dense toffee sauces, sitting on top of a sweet digestive base. The passion fruit creme brûlée with biscotti had the perfect sugar shell which when cracked revealed a fruity cream base. And the pecan brownie with white chocolate ice cream another brilliant plate of scrumptiousness. There’s a covered terrace out the front and a secret garden at the back of the restaurant which has a retractable roof. 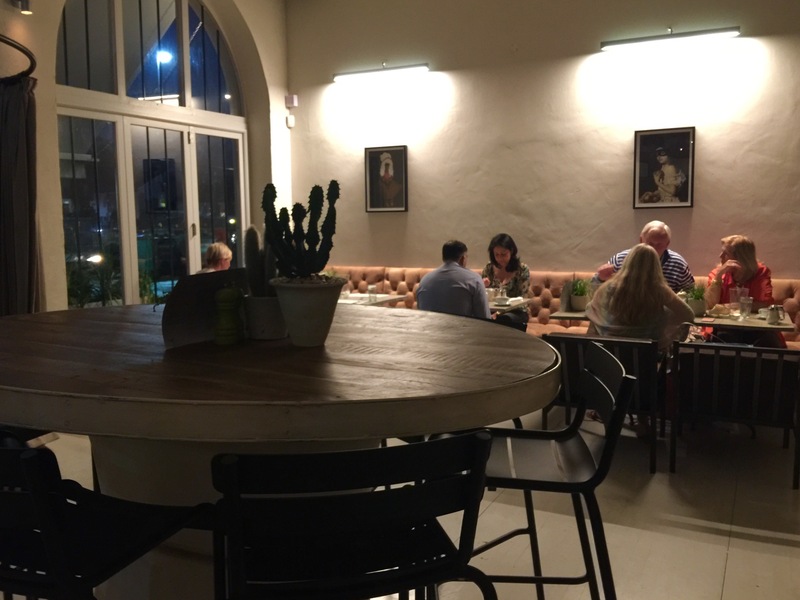 Annie’s is owned by the wonderful Lorraine Angliss who, in my opinion manages to run very welcoming, relaxing venues where courtesy is second nature and good food the norm. 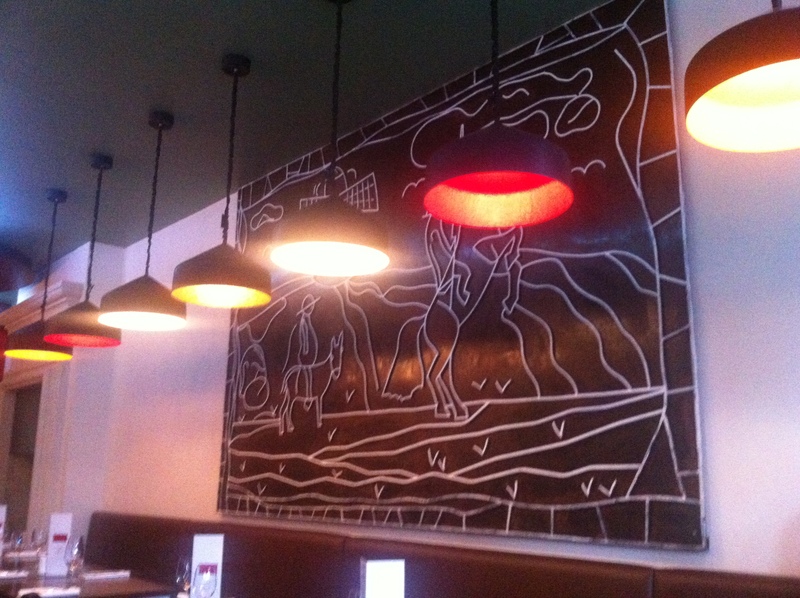 Annie’s in Chiswick is hers and Rock and Rose (which I’ve also reviewed) is in her portfolio too.